Bollywood actor Disha Patani at an award function, in Mumbai. Bollywood actor Disha Patani walks the ramp showcasing the works of designer Tarun Tahiliani during a promotional event, in Gurugram. Actress Disha Patani walks the ramp for designer Amit Aggarwal during the third day of Lakme Fashion Week Winter/Festive 2018 in Mumbai. 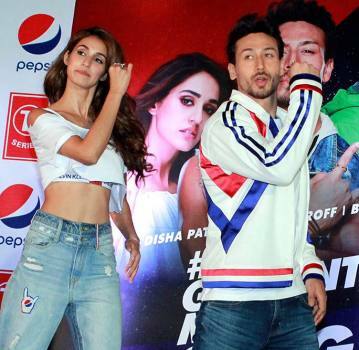 Bollywood actors Tiger Shroff and Disha Patani during the promotion of their upcoming action Hindi film Baaghi 2 at Race Course in Mumbai. Bollywood actress Disha Patani displays a creation by Ritu Kumar during the Lakme Fashion Week in Mumbai. Bollywood actress Disha Patani at the Vogue Beauty Awards 2017 event in Mumbai.